The price-performance miracle of retractable cooker hoods. 540m³ / h power, 4 power levels and motor mountable on both sides for high adaptability in kitchen planning. 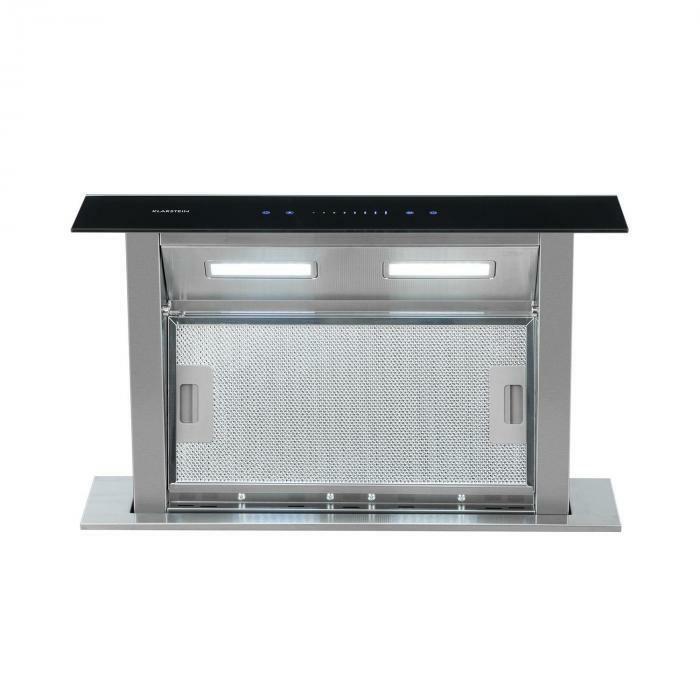 Extendable cooker hood - perfect for cooking islands, freestanding kitchenettes and cooking surfaces in front of windows. The best hand in the fight against kitchen odours! 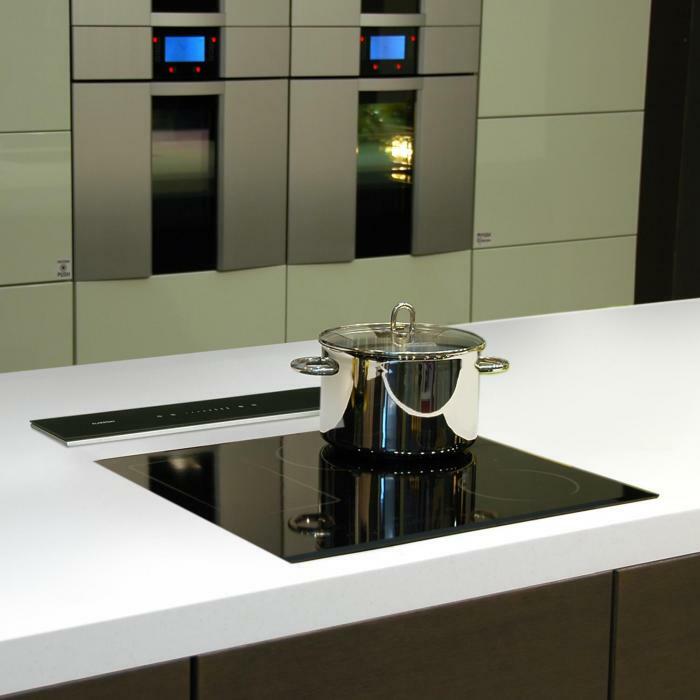 The Klarstein Royal Flush extractor hood is the counterpart to the winning hand: an extendable hood at an unbeatable price - without having to play ‘poker'! 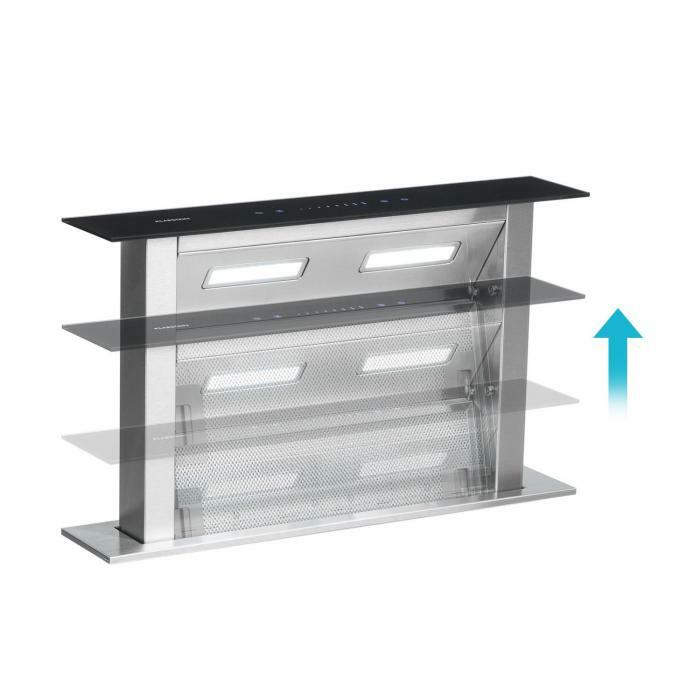 Downdraft hoods are particularly innovative and are suitable for kitchens with cooking islands, in which the air space should remain free. As a retractable cooker hood, the Klarstein Royal Flush can unfold its full potential in such kitchens, while also looking attractive in kitchens with a typical layout. 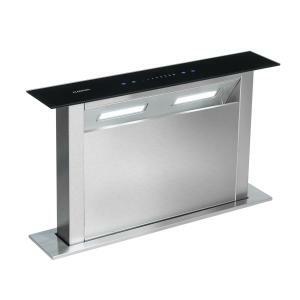 With a maximum output of 430 m³ / h in the exhaust air mode, the exhaust hood prevents odours and steam from building up. 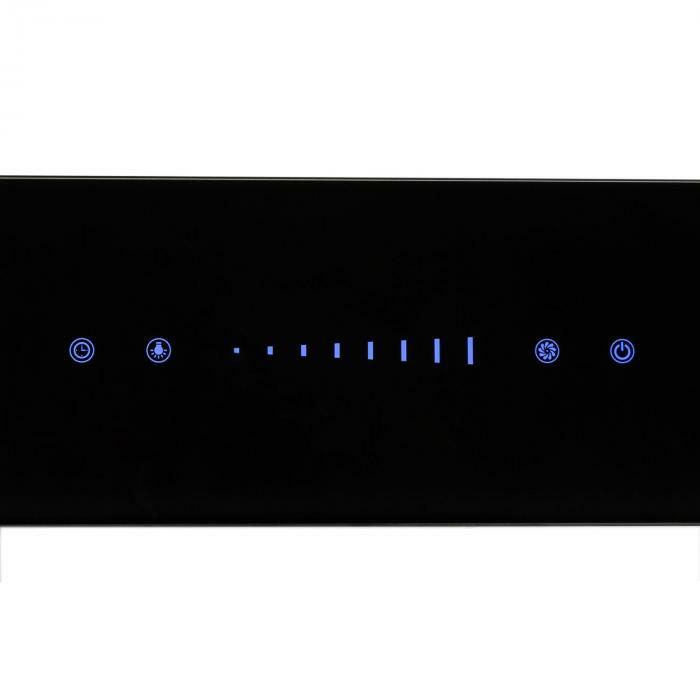 Four power levels can be selected via a slider bar. A switch-off timer allows the exhaust hood to run for up to 40 minutes. The built-in lighting can be controlled in eight brightness levels, so you can always have a look at the cards of the pots and pans in play. 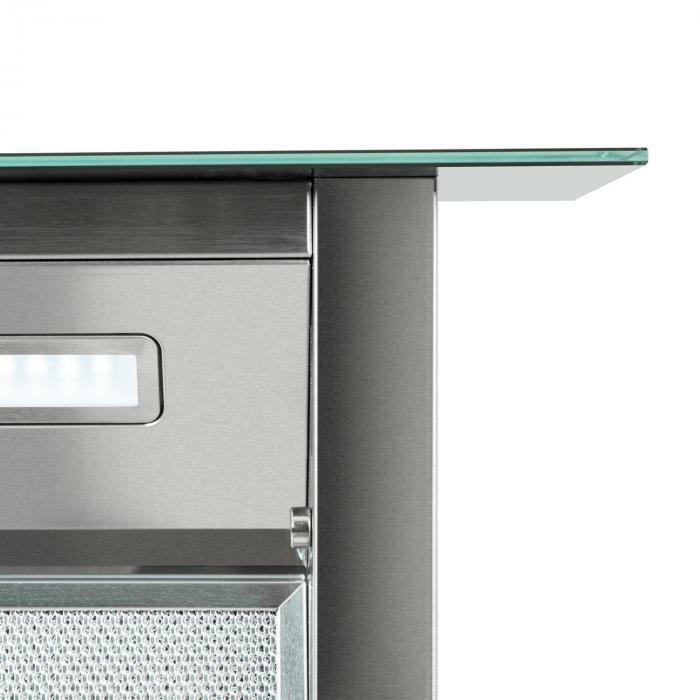 The Klarstein Royal Flush table hood works according to the ‘downdraft' principle, meaning that the motor and exhaust hose are installed invisibly under the worktop. The assembly is possible on both sides, making the Royal Flush very adaptable and allowing it to be retrofitted into existing kitchens. 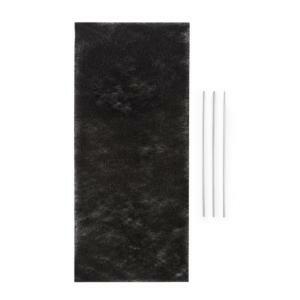 The grease filter may be removed as usual and cleaned by hand or in the dishwasher. The hood pulls out of the housing up to a height of 34 cm. 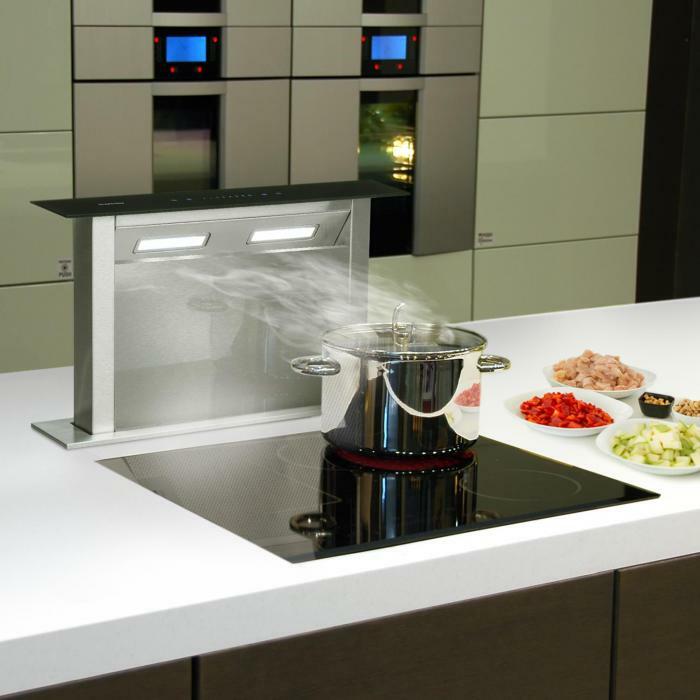 The Klarstein Royal Flush downdraft hood eliminates steam quickly without showing its hand: the retractable design with the high functionality is ideal for cooking islands in open kitchens, cooking surfaces in front of windows and retrofitting into existing kitchens. And with its first-class value for money, the Royal Flush is as valuable as a winning poker hand! Please note that the installation of the Royal Flush extractor hood must be carried out by qualified personnel, observing the manual.